Advertise your great customer feedback! 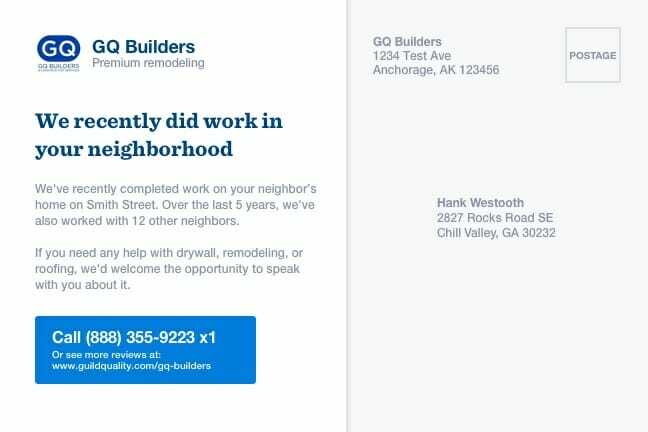 Send automatic mail cards to neighbors of your customers, using your existing survey data. 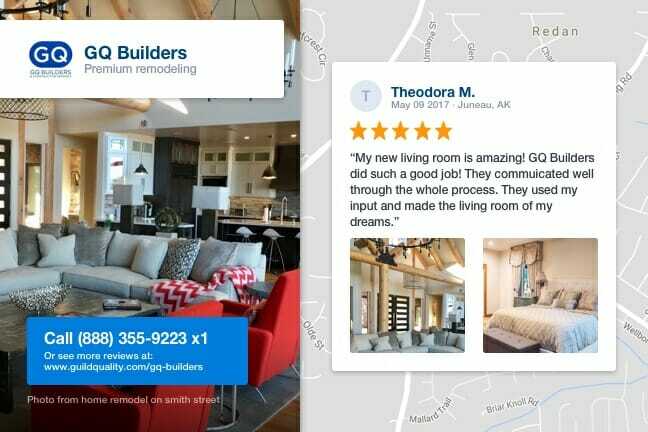 Customize the message, the photo, the call to action, and choose which reviews to use, and we’ll do the rest! Just $3/card, 250 minimum order. Sign up now to send your first campaign!